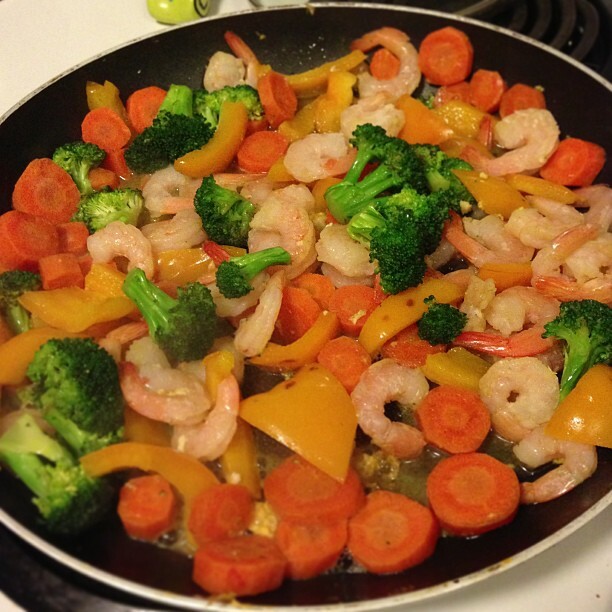 Homemade veggie and coconut prawn pad thai… takes less than 15 minutes and is much more nutritious/healthy than the take-out version! Click here for the recipe. Healthy eating starts at the grocery store, which is why this year’s Dietitians of Canada Nutrition Month campaign is dedicated to helping you plan ahead before you hit the aisles, as well as how to navigate the grocery store like a nutritionist and prepare healthy, home-cooked meals your whole family will enjoy. The first step to healthy eating is to research the foods you plan to buy before you hit the grocery store or farmer’s market. Even though food from the produce section should fill the majority of your shopping cart, pantry necessities—such as olive oil, seasonings, baking supplies, nuts, seeds and dried fruit and legumes—and some packaged foods are also part of a healthy diet. Websites like Eatwise.ca and CalorieCount.com let you look up the nutritional information for almost every food you can find on grocery store shelves, including brand name foods. The next step is to plan your menu for the week. Use a handy online meal planner like this one offered from EatRight Ontario, or find healthy inspiration from other sources such as fitness magazines, healthy cook books or social sites like Pinterest. Going in to the grocery store with a list is the next step to ensure your pantry and fridge are junk food-free zones. Once you’ve made a meal plan for the week, make a list of the ingredients you need for your recipes plus other staples, like snacks to take to work and school (carrot sticks, nuts and dried fruit, hummus, rye crackers, whole fruit, etc.) and breakfast items (eggs, almond milk, rolled oats, cereal, peanut butter, etc.). Another important element to shopping smart is to read and understand nutrition labels. You should be aware of the calorie, fat, carbohydrate and sodium content of the foods you are buying, and understand those percentages based on the serving size listed on the nutrition label. For example, one box of cereal might have 190 calories and three grams of fat per serving, whereas another cereal might have only 120 calories and two grams of fat per serving; even though you might be tempted to go for the cereal with the least amount of calories and fat, check how it compares to the serving size. If the serving size listed on the 120 calorie cereal box is only one third cup, whereas the 190 calorie cereal box lists the serving size as one cup, the box that looks like less calories and fat may actually be more. There is no strict standard for serving sizes, so be aware of this when comparing products. If you can’t pronounce it or don’t know what it is, don’t buy it. ingredient or additive listed before the whole food, don’t buy it. Fructose, sucrose or dextrose (also known as sugar) listed near the beginning of an ingredients list. 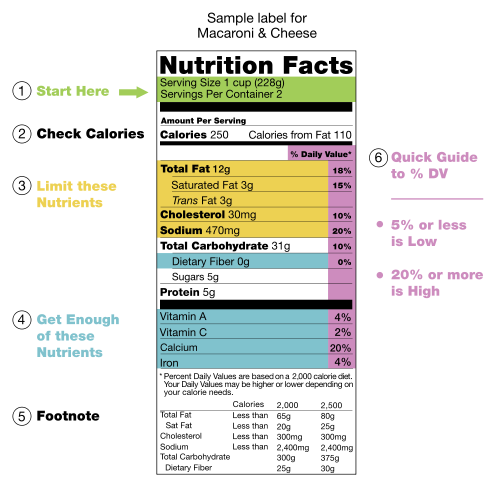 Click here for a list of great resources that will help you understand how to read nutrition labels on packaged foods. airtight containers in the fridge so all you need to do is reheat and serve, or use them in soups and stews. work as snacks or to cook up for dinner. Last night’s dinner always make a great lunch the next day, so double up on your recipes! *These tips have been modified by yours truly since Loblaw’s, the Dairy Farmers of Canada and Danone Canada are the sponsors of Nutrition Month… I always take any advice or research study sponsored by a company/group of companies who could have a vested interest in the results or outcome with a grain of salt. Also please note I wrote this for something else, hence the non-personal tone. But it’s about nutrition, so I think it should have a home here on Briwifit.com! Calorie counting: Necessary for weight loss? | Run. Lift. Yoga.